Extracting Large Clot from Large Vessels without the Need for Thrombolytics or ICU Stay. Venous Clot is Different and Requires a Different Solution. Since 2000, more than 170 thrombectomy devices have been cleared by the FDA and nearly all of them were designed for the arterial system. The “re-purposing” of these devices for venous clot is sub-optimal due to clot morphology and vessel sizes. As a result, treatments include, or rely exclusively upon, thrombolytic drugs and their inherent bleeding risks. Veins are low flow, low pressure. Arteries are high flow, high pressure. Veins are larger vessels that enlarge in direction of flow. Arteries are smaller vessels that taper in direction of flow. Veins have large amounts of firm/hard clot in large vessels, adhered to vessel wall. Arteries have small amounts of soft clot in small vessels, “floating” in the vessel. Instead of “re-purposing” arterial devices, Inari Medical is pioneering venous-specific devices with venous anatomy and clot morphology in mind. Focusing on the critical vessels of venous disease, Inari has designed tools to treat both Pulmonary Embolism (PE) and Deep Vein Thrombosis (DVT). We believe that removing clot matters, and that it should be done safely. The FlowTriever and ClotTriever were designed as non-thombolytic solutions to venous thromboembolism with that belief in mind. 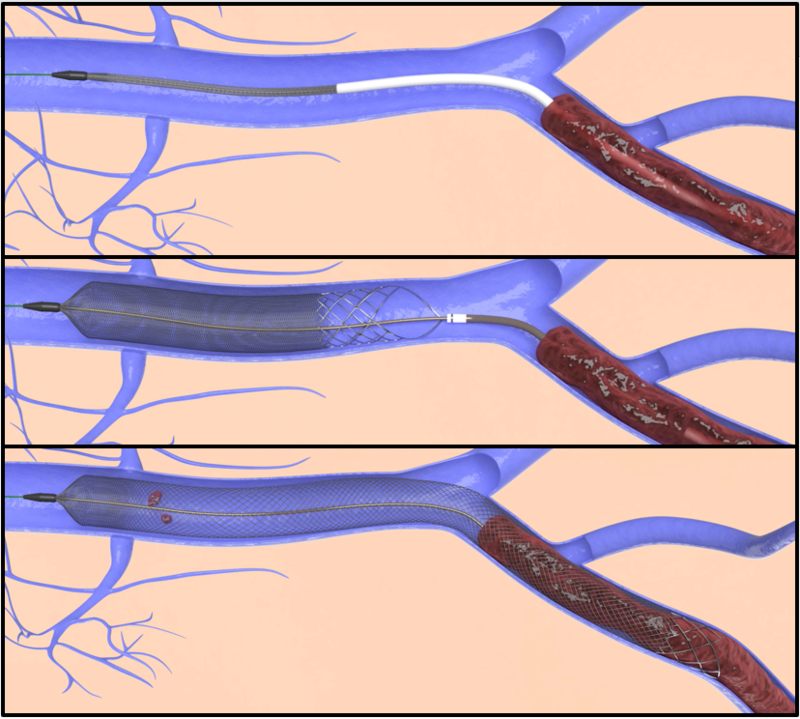 Both devices are FDA 510(k) cleared for the removal of emboli and thrombi from the peripheral vasculature. In addition, the FlowTriever System is the first and only mechanical thrombectomy device with a FDA indication for treatment of Pulmonary Embolism. The FLARE study was a prospective, multicenter, single-arm study evaluating the FlowTriever System in 106 patients with acute PE at 18 sites in the United States. Treatment with the FlowTriever System was used to mechanically remove blood clots in the pulmonary arteries. The study met both of its primary safety and effectiveness endpoints, showing large and rapid reduction in right heart strain, with no device related major adverse events. Aditionally, the study showed much shorter ICU and overal length of stay for patients treated with FlowTriever compared to previous studies in which thrombolytic drugs were used1.